Time: Gallery Hours: Tues, Thurs, Sat 10 a.m.-2 p.m. and First Fridays from 5-9 p.m. 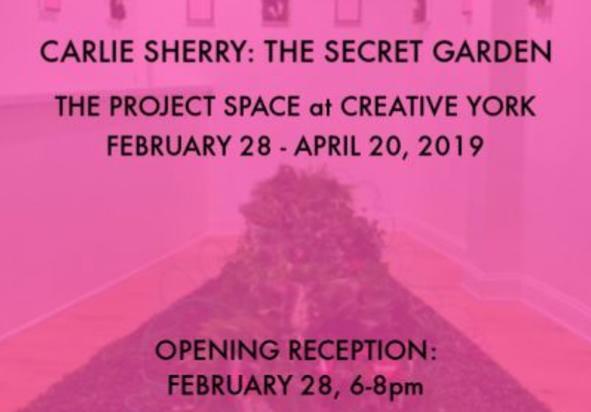 In The Project Space Gallery is The Secret Garden, an installation by New York artist Carlie Sherry. 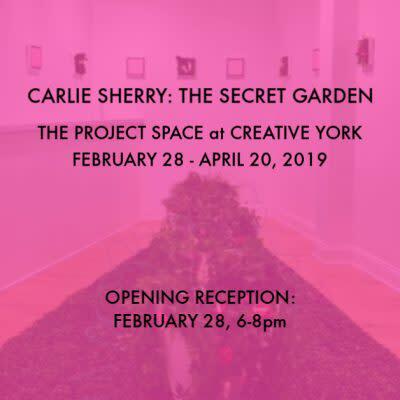 Through this immersive exhibit, Sherry shares her personal story of an all too common yet painful narrative of the female experience with the hope of empowering women to talk about this subject as it is often dealt with in secrecy. Carlie Sherry will be in attendance for the reception. Carlie Sherry has a Masters Degree of Fine Arts in Painting from Syracuse University. She has exhibited her work nationally including group shows at the Spinning Plate Gallery in Pittsburgh, PA and The Carr Center in Detroit, MI. Sherry is an Adjunct Professor at both Pratt Munson Williams and Proctor Arts Institute and Utica College. Currently, Sherry lives in Clinton, NY where she also runs her studio practice. Opening the same night in the Kerlin Gallery is IDENTITY, a group exhibit of artworks examining the subject of identity, be it cultural, historical, political, gender-based, physical, intellectual, adaptive, transformative, or any of the many other elements and experiences that shape and define who we are as individuals and human beings. Each artwork is presented with a statement by the artist, encouraging a connection between the artwork and viewer, and hopefully sparking conversations beyond the exhibit itself.